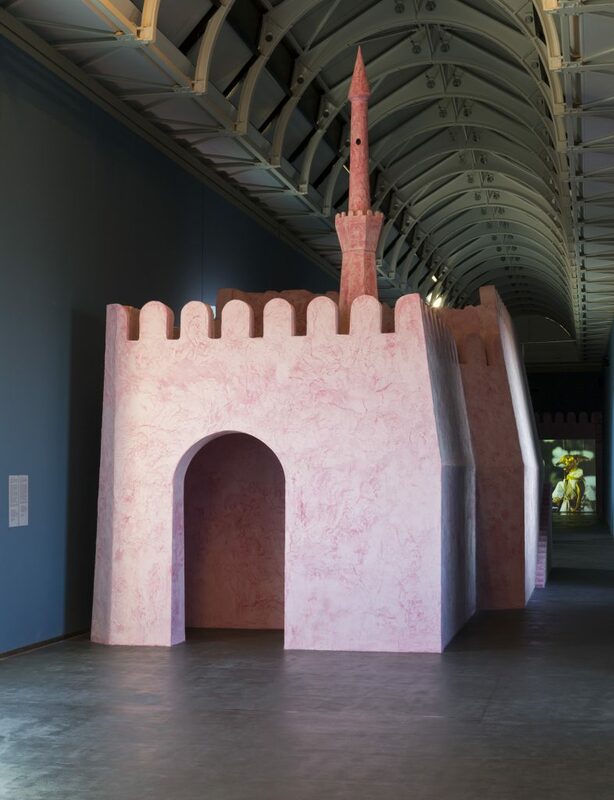 The retrospective of Wael Shawky (Alexandria, Egypt, 1971), held at the Castello di Rivoli, presents a series of film works, sculptures, and new wooden high-reliefs inspired by the Crusades and narrated from an Arab rather than a European point of view. Inspired by Medieval Islamic sources like Usama Ibn Munqidh and Ibn al-Qalànisi—as well as The Crusades through Arab Eyes (1983) by the Lebanese historian Amin Maalouf—Cabaret Crusades lingers upon the history of the Church’s military campaigns in the Holy Land. The artist begins his story with the first Crusades, from 1096 to 1099, staged in the first chapter of the Cabaret Crusades: The Horror Show File. It then continues with the history of the events between the First and Second Crusade, covering the years between 1099 and 1145, represented in Cabaret Crusades: The Path to Cairo. These works bypass the more traditional notions regarding the clash of civilizations between the Western world and Islamic cultures. The use of marionettes instead of real actors allows the trilogy to be magical in tone and seemingly different from the violent and macabre subject described. 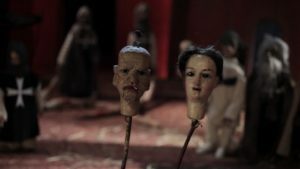 Shawky used antique marionettes of the eighteenth century from the Lupi Collection in Turin for the first film and custom-made ceramic ones for the second work. 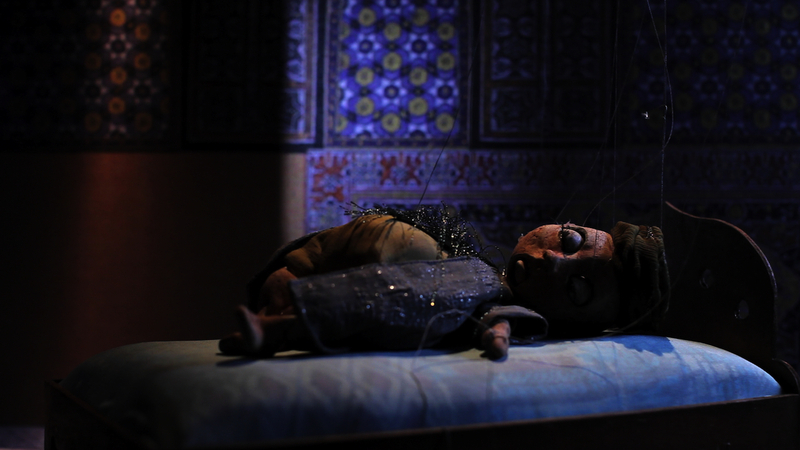 The Secrets of Karbala is the final chapter in the trilogy and uses glass marionettes from Murano. 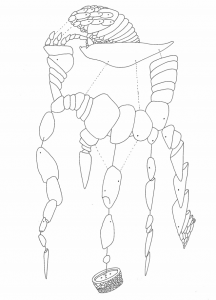 These glass marionettes blend human and non-human animal traits and the memory of ancient African masks. The work also mentions the Battle of Kerbela (680), the main and tragic event that ultimately led to the division between Shiites and Sunnis even today. The story ends with the capture of Constantinople by the Crusaders in 1204. The trilogy treats the issue of history and human events overwhelmed by ambition and rivalry, by betrayal and violence. 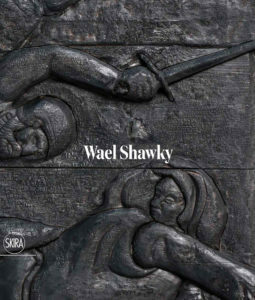 After attending the School of Fine Arts at the University of Alexandria, Egypt, in 2000 Wael Shawky (Alexandria, Egypt, 1971) earned his Master of Fine Arts from the University of Pennsylvania. 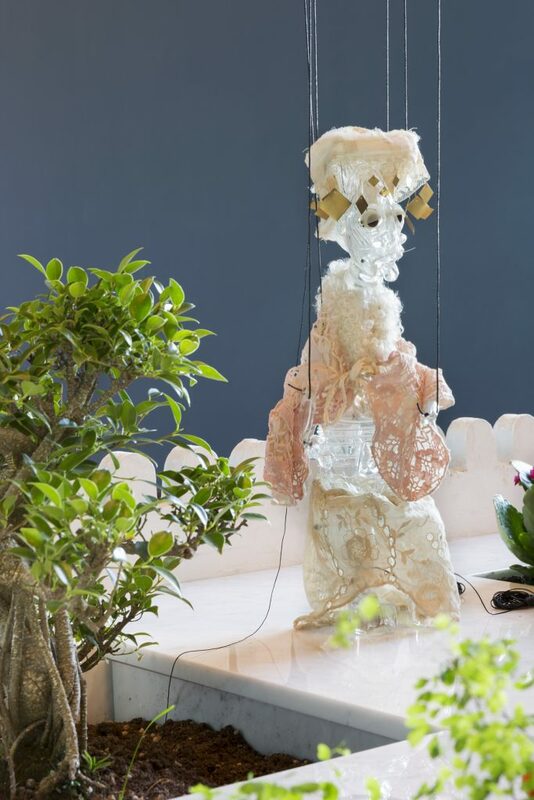 Following his outstanding international debut in dOCUMENTA (13) in 2012, his most recent exhibitions include Cabaret Crusades, MoMA PS1, New York (2015); Wael Shawky, Mathaf, Doha (2015); Cabaret Crusades, Kunstsammlung NRW – K20, Düsseldorf (2014); Wael Shawky: Horsemen Adore Perfumes and Other Stories, Sharjah Art Foundation, Sharjah (2014); Wael Shawky, Serpentine Gallery, London (2013); Al Araba Al Madfuna, Wael Shawky, Kunst-Werke, Berlin (2012); Nottingham Contemporary, Nottingham (2011). His works have been exhibited at important international events such as Une breve histoire de l’avenir, Musée du Louvre, Paris (2015); SALTWATER: A Theory of Thought Forms, 14. 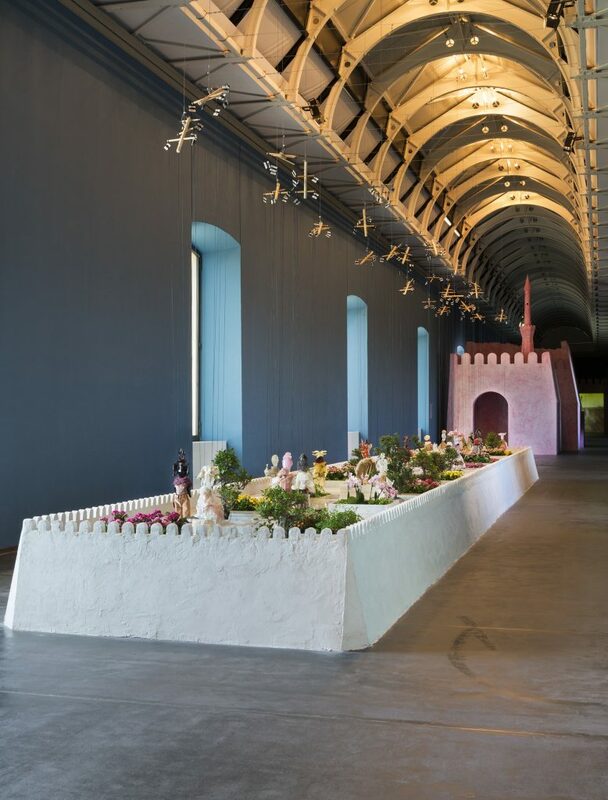 Istanbul Biennial, Istanbul (2015); Manifesta 10, St. Petersburg (2014); You Imagine What You Desire, 19th Sydney Biennial, Sydney (2014); Now Babylon – architecture, culture and identity, Louisiana Museum of Modern Art, Humlebæk (2014); A History of Inspiration, Palais de Tokyo, Paris (2013); Re:emerge, Sharjah Biennial, Sharjah (2013); 9th Gwangju Biennial, Gwangju (2013); dOCUMENTA (13), Kassel, Alexandria and Kabul (2012). 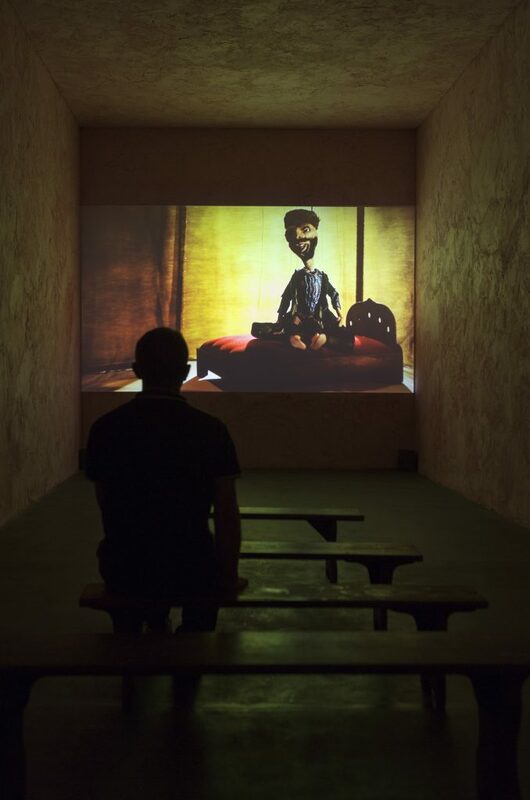 In 2013, Wael Shawky was given the Sharjah Biennial Award 2013. 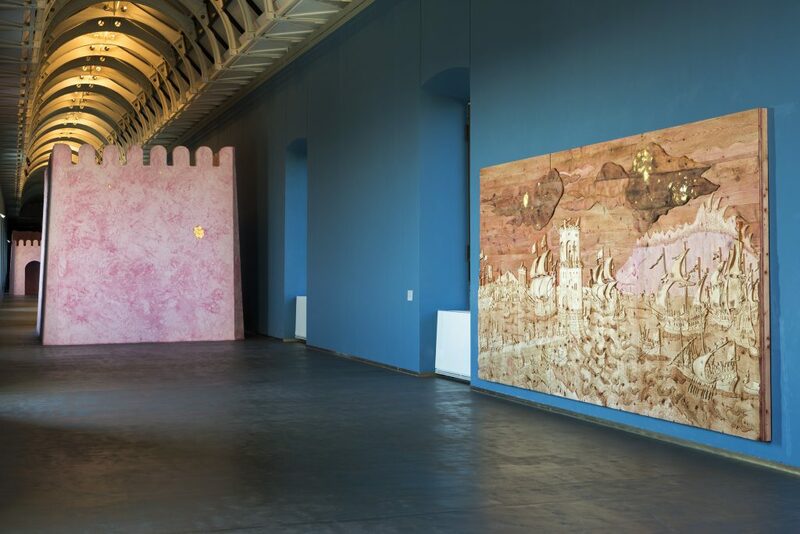 On the occasion of the retrospective at the Castello di Rivoli, Wael Shawky has developed an artist’s project presented at the Research Institute – Library during the opening hours (Tuesdays to Fridays – 10am – 5pm). The Italian and English film dialogues of the trilogy Cabaret Crusades exhibited at the third floor of the Manica Lunga are also included. We thank Nicoletta Fiorucci, from the Amici del Castello di Rivoli, for supporting this exhibition. We also thank Lisson Gallery, London and Sfeir-Semler Gallery, Beirut & Hamburg for their efforts in creating this catalog. Have you seen the catalog?